The story of black girls from childhood to maturation is told in this play that infuses childhood games with dance and music. What images arise with the phrase ‘black girl?’ When choreographer Camille A. Brown asked that question to an audience, she was dismayed with their response: negative comments and mocking gestures. Host Frank Stasio speaks with choreographer Camille A. Brown about her career and current projects. However, she was not surprised. Brown has spent much of her career using movement and music to dispel myths about African-Americans. 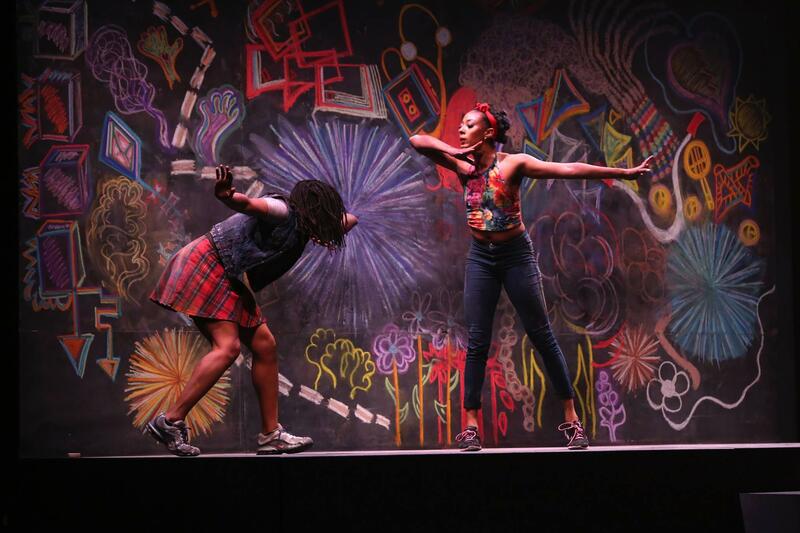 Through her production “Black Girl: Linguistic Play,” she uses childhood games like double dutch and stepping to share a black girl’s journey from childhood through matury to sisterhood. “Black Girl: Linguistic Play” returns to the Triangle Friday, Feb. 1 and Saturday, Feb. 2 on the campus of Duke University in Reynolds Industries Theater. Brown returns to The State of Things to update host Frank Stasio on her work including her choreography in the new Broadway play “Choir Boy” and the Emmy-Award winning special “Jesus Christ Superstar Live in Concert.” She also reflects on her early days growing up in Queens and attending the University of North Carolina School of the Arts. Brown is founder and director of Camille A. Brown & Dancers and a Duke Performances’ artist-in-residence. A new dance piece by choreographer and educator Camille A. Brown digs into the nuanced way black girls play and communicate. “Black Girl: Linguistic Play” documents the historical roots of street games like double-dutch, stepping, and tap. It also examines how they’ve been used to connect and communicate for centuries. Legendary dancer and choreographer Bill T. Jones was inspired to create his dance trilogy “Analogy” after reading W. G. Sebald’s novel “The Emigrants.” The book, like Jones’s resulting oeuvre, deals with issues of persecution, trauma, war and memory.